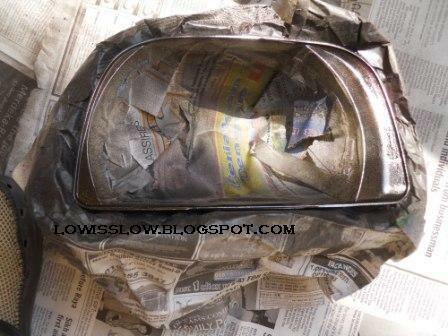 This entry will shows you on how to make your headlamp more stylish and elegance. What you need are two flat screw drivers, hair dryer, masking tape, old newspaper, and black spray. 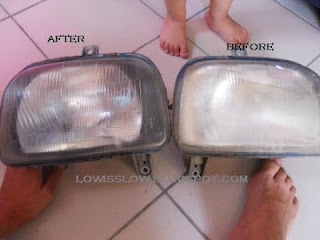 You save a lot of money rather than buying a new smoked headlamp for your car. Got shop provide this service (custom made smoked headlamp) chargers around RM70-90. Actually they are doing the same process as below. So why don't you do it yourself, and maybe you can earn an extra pocket money. First, you must take out the headlamp. As for Perodua Kancil users, you need to take out the front bumper as well, because there are two screws under the headlamp. 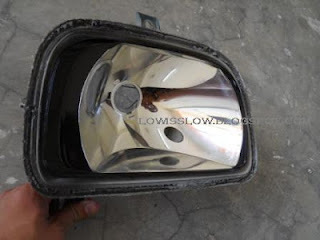 To take out the bumper, removed four screws next to the radiator (on top of the bumper), one screw behind the both side of signal lamp, one screw behind plate number holder, and one screw located on both side of fender and bumper joint, next to the tire. 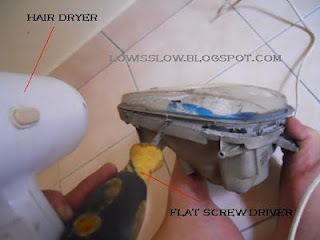 Use hair dryer to soften the headlamp glue/seal so that easy to detach headlamp cover. Do it gently to avoid the headlamp cover being cracked. 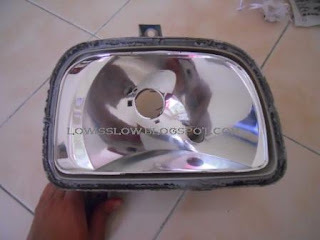 At the same time, use flat screw to detach the headlamp cover as shown in the picture above. Cover the surface that we do not want to spray by using masking tape and newspaper. 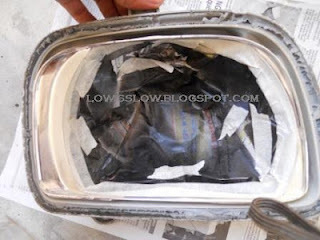 Again, by using hair dryer, soften again the glue/seal before you can reattach the headlamp cover. For a better sealant, apply extra silicon seal around the headlamp's cover joint. 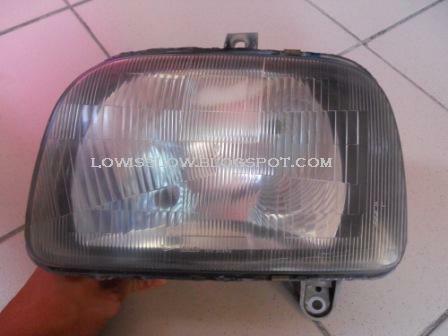 Picture above are my new look Perodua Kancil's headlamp. Nice Site! Keep it up man! On Led Torch Shop you can buy high quality torch. It will not only a quality product but also durable. You are welcome friend.. thanks also for visiting my site and leaving your constructive comment here. You could sign up for an ML account by mosting likely to the enrollment page. https://merrilllynchlogin.org You could additionally go to the branch face to face.